sleeping sleeping gauge The number of sleeping processes. stopped stopped gauge The number of stopped or traced processes. zombie zombie gauge The number of defunct (zombie) processes (process terminated and parent not waiting). dead dead gauge The number of dead processes. paging paging gauge The number of paging processes (<2.6 kernels only). 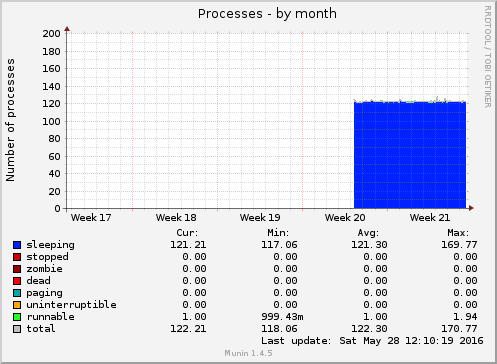 uninterruptible uninterruptible gauge The number of uninterruptible processes (usually IO). 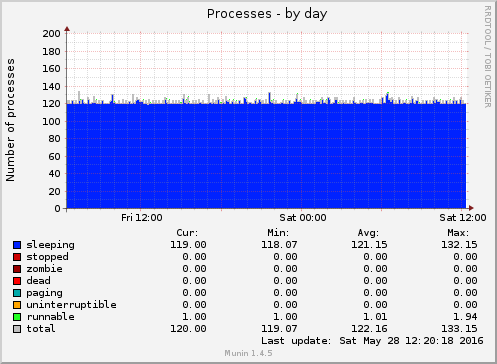 runnable runnable gauge The number of runnable processes (on the run queue). 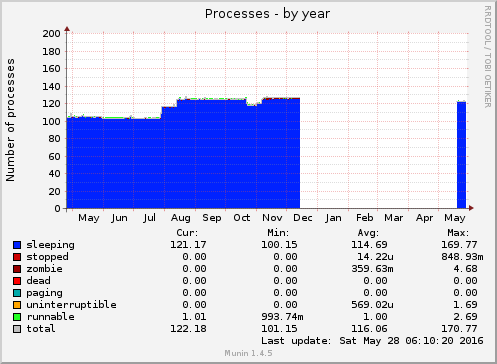 total processes gauge The total number of processes.